My wife Wendy loves Christmas carols. They are what make the Christmas season so special and memorable. This is probably true of all of us. The tunes and the words remind us of what this season is all about. They remind us of growing up, singing these very same songs in a candlelight Christmas eve service. They remind us of sitting on the couch in our living room, watching the lights on the Christmas tree sparkle while listening to carols on the stereo. Yes, Christmas carols are one of the things that make Christmas, Christmas. Did you know that such songs praising the Savior’s birth were always part of this celebration? Such songs actually began to be sung before the Savior was even born. 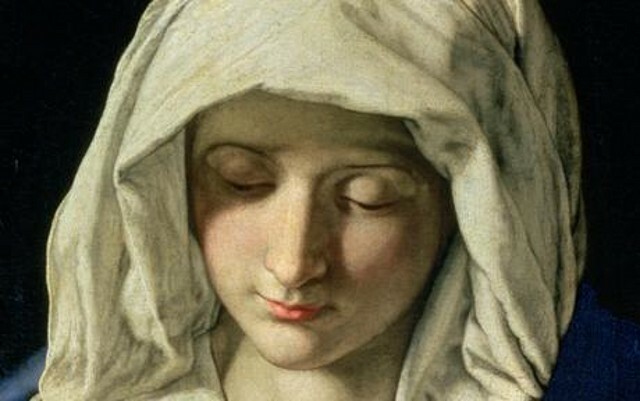 One of the songs is sung by Mary, and the other is composed by Zacharias. There are actually five songs in these first two chapters of Luke. Two by women, two by men, and one by the heavenly angels. Henry Burton, writing at the end of the 19th century, likens these two chapters to the entryway of the grand cathedral of the Gospel. Imagine, as you enter the doors to this cathedral, the first thing you encounter is glorious music. Burton goes on like this for some time. It is wonderful reading, and very poetic. It seems when reading his sermon that you are being ushered slowly into the crystal halls of grace, your heart begins to beat with the excitement of standing before the throne and bowing before the feet of Almighty God. That is the point of music. To invite us, to call us, to prepare us to meet God. Luke beckons us into his Gospel with beautiful music that calls us to worship God. He has put together his choir. Two women, two men, and the angels as backup vocals. Burton says that at first, the songs seem too loud. They seem deafening, out of place, confusing. This struck a note with me, because that is exactly what I thought last year when I was preaching on the opening chapters of Luke. These songs seem so misplaced, abrupt and strangely out of character for people like Mary, Zacharias and Simeon. But Burton points out that they are intended to be deafening, for look what event in history they proclaim! How sad and empty it would be if Jesus Christ had come to earth, and there was no music to proclaim His arrival. Matthew, Mark and John do not include any of these songs, so how thankful we are that Luke did. This is seen to be true as we look at Mary’s Song. It is found in Luke 1:46-55. It is sometimes referred to as the Magnificat, which is a Latin term from the opening word of Luke 1:46. It means, “To magnify.” Mary’s song is all about magnifying Jesus Christ as Lord. Though He has not yet been born, she wants to sing His praises and magnify His name. This is where all such songs begin – with praise to God for what He has done. Mary reveals something here very significant about praising and worshipping God. Although verse 46 comes first, it is in the present tense, whereas verse 47 is in the past tense. In other words, her soul magnifies God, because her spirit has already rejoiced in God. A spirit that rejoices in God leads to a soul that magnifies God. Biblically, the soul is the root and seat of our emotions. It refers to our inner self, our emotional center (Psa. 6:3; 10:3). It is through our souls that we relate personally and emotionally with other people. But the spirit is altogether different. The spirit is not our emotional side. It is the side of us that relates to God. It is the part of us that knows who God is, and what He is like, and what He wants from us. It is the part of us that understands what God has done for us, and all that He has given to us. When Mary says that her spirit has rejoiced in God, she is saying that she has understood who God is. She knows what He has said in His Word. She believes in the truths He has revealed. This is the beginning point of all true worship of God—an understanding of the facts about God. Emotions and feelings are not necessarily part of true worship. There are a lot of people who think they have not worshipped God unless they get goosebumps and chills, or break out in tears, or end up shouting with excitement. That is soulish worship, but not spiritual worship. Mary reveals that true worship of God begins with the spirit. It begins with an understanding who God is, and what He has done, and all that He has given to us. If you do not understand the truths of Scripture, you cannot truly worship God in your spirit. This is why Jesus says in John 4 that true worshippers worship God in spirit and in truth. True worship of God flows through the spirit based upon the foundation of the Word of God. Where the Scriptures are not understood, the spirit does not get involved, and there can be no true worship. Sometimes, the emotions and feelings of the soul get involved. This is what happens to Mary here. She says that her soul magnifies, and praises and delights in the Lord. In other words, she is very emotional, and excited about God. But this only happened because her spirit willfully understood and rejoiced in God her Savior. A lot of people say they can’t worship unless they feel like it. They also think they are not truly worshipping unless they feel something. Mary reveals that true worship of God will sometimes lead to feelings, but not always. True worship of God does not focus on feelings, but on what God has done for us, and what God has given to us. When you come to church, or when you sit down on Monday morning with a cup of coffee to listen to your worship CD and read your Bible, what do you do these things for? Is it to get a tingle from God? Is it to feel the brush of angel’s wings? Is it to sense the Spirit falling fresh upon you? These sorts of things are wonderful when they happen, but they do not necessarily reveal that you have worshipped. True worship is in the Spirit, not in our emotions, and is based on the truth, not on how we feel. Do you want to worship God? Get into the Word of God, and ask the Spirit of God to open the truths of Scriptures to your mind. Sometimes the soul will jump in and you will get that tingle, and that rush, and heart beating wildly…but not always, and maybe not very often. True worship does not depend on emotions, but depends on spiritually understanding the Scriptures. We know that this is how Mary worshipped. Mary had a mind that was thoroughly soaked in Scripture. We know this from the way the angel speaks to her and how she responds to the angel. We know it from the words Mary speaks. We know it from the way Mary lives and raises Jesus. We know it from the way she interacts with her husband Joseph. We also know it, because this song of hers is very similar to the song of Hannah, when she gives birth to Samuel, and the song of Miriam, when the Israelites escaped the Egyptian army by passing through the Red Sea. In this song, which is ten verses long, there are fifteen discernable quotations from the Old Testament. Mary’s mind was saturated with Scripture. Mary knew the word of God, and it came out of her when she worshipped God. How do you respond to the truths of God? With a yawn of boredom? Respond like Mary. These truths are eternal truths, rich truths, inspiring truths. If you allow God to speak to you through His Word, there will be times when you want to break out in song for the magnificence of what He has revealed to you. For Mary, worshipping God was the greatest and most exciting thing she could do. The truths and promises she learned about God from Scripture caused her to rejoice in her whole being. She worshipped God in spirit and in truth. She rejoiced in the God of her salvation. She magnified the Lord, and exalted His name. In the rest of her song, we see some of the truths of Scripture she had learned and was exited about. She sings about how the Messiah will benefit her, how He will benefit the world, and how He will benefit Israel. Her benefits are found in Luke 1:48-49. I think it is interesting how some religious institutions have mixed up these two verses. Mary says that she will be blessed, and that God is Holy. Yet certain organizations have mixed this up, and call Mary holy. She is called “Holy Mary, Mother of God.” She is definitely the mother of God, and she is definitely blessed, but it is God who is holy. She was a sinner just like the rest of us. There is no such thing as the Immaculate Conception. This is the idea that Mary was sinless, and so that is how Jesus was born without sin. But Jesus was born without sin because He did not have an earthly father. Instead, God, who alone is holy, is His Father. Mary reveals her knowledge of this in these verses. First, she speaks of her own lowly state. This of course, refers to her own humility and lowliness of mind. But it also refers to her sinful condition. She understood that she was a sinner. The word Mary uses here is also used in Philippians 3:21 to refer to the body of sin that we all find ourselves in. Philippians 3:21 speaks of our body of humiliation, in direct contrast to the body of glorification we will receive in heaven. The main difference between our body now, and our body in heaven, is sin. Mary knows she is a sinner. This is why she is lowly and humble. Secondly, she also recognizes that she is a servant. She refers to herself as the Maidservant of God. She does not deserve anything from God, but wishes only to serve and please Him. Yet though she is a sinner and a servant, God has seen fit to bless her. She recognizes that all generations will call her blessed. This is not a statement of pride, but is a remembrance of what the angel had already told her. When he appeared, he proclaimed, “Rejoice, highly favored one, the Lord is with you. Blessed are you among women” (1:28). Jesus was not trying to downplay the significance of Mary’s blessing. He was putting her blessedness in perspective. We have already seen the Mary was blessed because of her knowledge of and obedience to the Word of God. Jesus reveals that if you and I want to be blessed just as much, if not more, than Mary, all we have to do is do the same thing she did – hear the Word of God and obey it. This is what it all comes back to. The Word of God must be heard and obeyed. This is where true worship of God springs from. This is where true blessings from God come from. If you want to worship God, you must get into the Word. If you want to be blessed by God, you must get into the Word. Mary’s song reveals all of this. She understands what God has said. She understands who God is. She understands what God has done. She understands what God has done for her. And in Luke 1:50-53, she understands what God has done for the world. Mary sings that God responds in two ways to the two different kinds of people in the world. There are those who fear God and obey Him, and those who are proud and arrogant. The ones who fear God and obey Him receive His mercy and provision for their needs. They are exalted. Those who are arrogant and haughty are cast down and scattered. Fearing God is a respectful obedience of Him. He shows his mercy to those who fear Him. The greatest act of mercy God has ever shown is in sending Jesus Christ to the world to save sinners such as you and I. Though we deserved only punishment, God did not give this to us, but gave us Jesus Christ instead. All who believe in Him alone receive eternal life. 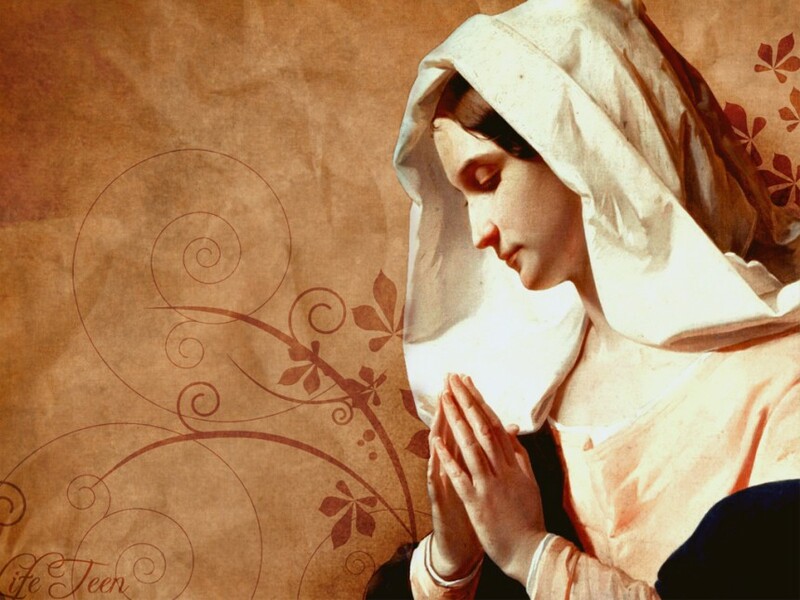 Mary implies that this good news is not just for her generation, but can be passed down from generation to generation. The good news is for all people. The blessings of God through Jesus Christ are for everybody, if they will just believe in Jesus. We see the opposite happens to those who trust only in themselves. The proud trust in themselves and in their own plans. God scatters these plans and does not let them come to fruition. He “breaks their measures, blasts their projects…brings them low, brings them down…[and He does this] by the very counsels with which they thought to advance and establish themselves.” They lay traps for others, but God causes them to fall into it themselves. Their pride leads only to their own destruction. The plans come to nothing. In the book of Esther, Haman sets out to destroy the people of Israel and magnify himself. But the story ends with him losing everything he had worked for, and even getting hung on the gallows he built for his enemy, Mordecai. Though God is not mentioned in the book of Esther, His handiwork is seen everywhere in exalting the humble, and bringing down the proud. Even in the rest of history, the higher men rise, the further they fall. Nebuchadnezzar. Belshazzar. Alexander the Great. Emperor Nero. William the Conqueror. Genghis Khan. Napoleon. Hitler. Stalin. Saddam Hussein. Kings and princes and presidents. Those who set themselves up the highest, fall furthest from the throne. This reminds us of the beatitudes we read in Matthew 5 and Luke 6. Such truths are very comforting, even for us. When you are wronged, God will set it straight. When you are downtrodden, God will lift you up. When you are slighted, God will bless you. When you are insulted, God will exalt you. Of course, the condition for Him doing these things for you is that you must be humble and lowly yourself. You must be in the Word and obedient to it. Mary begins her song by magnifying God. If you have trouble magnifying God, it is probably because you are magnifying yourself. If you have trouble praising God, it is probably because you are trying to sit in His seat. You had better step down before you get tripped up. God opposes the proud, but gives grace to the humble. This is the benefit to the world. The final benefit goes to Israel in Luke 1:54-55. Although the people of Israel have almost always been in a state of rebellion against God, God reminds them here through Mary that He will never forsake them, but will always remember them and will always fulfill His promises to them. God is on Israel’s side! Mary once again shows her knowledge of Scripture by quoting one of the promises of God to Abraham from the Old Testament (Gen. 12:1-3; 17:19; 22:18; 26:4; 28:14). Don’t ever let anyone tell you that God has permanently set Israel aside and will not fulfill His promises to her. If God does not fulfill His promises to Israel, He might not fulfill His promises to us either. God always fulfills all of His promises. He does not lie. Mary shows she understands that the baby in her womb is God fulfilling another promise to Israel. It is God coming to help Israel and fulfill His Word. Mary’s song is a beautiful reminder of all that God has done for us and has promised to do for those who follow after Him. It is a new song that burst from the lips of Mary based on what she knew Scripture to say. This song, for me, seems to end abruptly. All of a sudden, it’s just over. It stops. Maybe Mary drifted off into humming her tune. Maybe Luke didn’t record all of her song. But I think her song ended just as recorded here—with an abrupt stop. Do you want to mount up with wings like eagles? Do you want to run, and not grow weary? Turn to Scripture every single day, asking God to give you a note to sing. He will show you a verse, or a passage that He wants you to think about, meditate upon and pray through that day. These verses pluck on the harp strings of your life, and you will feel as if there is a constant song on your lips and a bounce in your step. You may not have a good voice. You may not have a poetic way of saying things. It doesn’t matter. God made you, and He loves to hear you sing and give praise to His glory. God gave you the wonderful gift of salvation through Jesus Christ. During Christmas, people often ask what to give to the person who has everything. But only God has everything. So what do you give to the God who has everything? You give Him praise. You give Him thanks. That’s what He wants. Learn a lesson from Mary – sing praise and thanks to God this Christmas. For specifics on some of these and others, see Biblical Illustrator, 76-77. I have gone to svreeal churches over my life so far, ranging from very small (10-20 people) to somewhat large (750-1000 people). I now go to a church that is part of a network of churches. Our campus is one of about half a dozen, ours being the 2nd newest. The main campuses are much larger (svreeal thousand regular attenders/members), with ours currently around the 200-400 mark and growing rapidly. All of the campuses have a pastor that delivers the sermons each week, but all of the campuses will preach the same series. Such that if your church is preaching through the book of Luke, and you miss a week at your regular church but visit one of the other campuses, you will still be learning from the same part of Luke with the same principles being taught. Each of the pastors inserts their own method of preaching and their own stories, anecdotes, and makes the sermon their own, but the basic content is the same. To me, if you are going to have a system of church campuses all under the same umbrella, that this would be the way to do it as opposed to simply having video transmissions. There are some disadvantages to the setup my church uses to be certain, but it still has a personal feel to it. 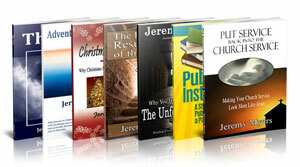 You can still have an opportunity to get to know your pastor personally. Simple video transmissions lack that ability, and in my feeling, that is probably the biggest objection I would have. You have quite the array of church experiences! Thanks for sharing your suggestions with preaching.